Hello! For most parts of these 2 months, I have been traveling around to Korea, Hong Kong, and Bangkok. One thing I like about free and easy travel is the planning (or the lack of planning) of the trip. When I feel like doing or eating a particular something, I will simply google it online and see what others have written about it. Really thankful for all these blogs and websites that helped me along the way, out there on the road. That said, each and every experience is always different in many ways and so I am here to share my experiences on the road as well. Hopefully, it will serve a purpose or two to others as well! In Busan, we stayed at Terra Guesthouse. It was one of the best hostels I have stayed in! Even though the price wasn't exactly the cheapest, I would say it is one of the best choices out there. They have dorm beds and also private rooms (double room/room for four, etc). We had four people and so we stayed in a private room for 4. Say hi to the in-house cat! Initially, I thought it was like a soft toy because it was sitting so still and not moving at all. What an adorable cat, meow! I went during winter and so one thing I feared was that the room would not be warm enough. I had stayed in more than one hostel (in NZ) that did not have a heating system and throughout the night, I would just be hugging myself tight and freezing in my sleep. The floor was heated up to keep us warm and yes the room was really comfy and cosy. we had the ocean view in our room! To sum up my experience in Terra Guesthouse, I would say that if given a chance to return to Busan, I would choose to return to this guesthouse again! The people are friendly and can speak good (decent enough) English. They have free breakfast too but it's just bread and cereal. Simple fair for the simple travelers! Yes, I almost forgot to mention the strategic location of the guesthouse. It is located right at the centre of Jagalchi Fish Market which is one of the must-go attractions in Busan. 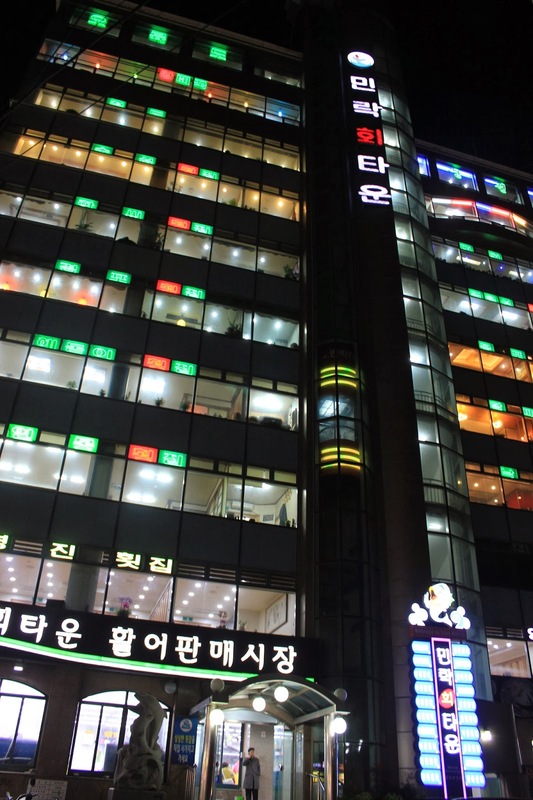 Really convenient location which is near to the Jagalchi station and the Busan KTX train station (if you are coming from or heading to Seoul). Transportation is quite easy around Busan. We bought the one day pass (3500 won) which was really worth it! Plan your journey and buy the pass for a day that you would be traveling far. For near distance, I would suggest taking a cab as cabs aren't that expensive in Korea. By the time we settled in and were done with preparations, we were famished. We settled at a restaurant near to our guesthouse. We were so early that we were the first customers in house. Apparently, this was a soup restaurant where they had all the different types of soup. Yes, we were really near to the port and the sea and so fish is abundant. We ordered three soups without knowing what we ordered and they were all fish soups. Well, the difference being in the taste of the soup! Busan is not that English-friendly, as compared to Seoul. This explained why we had some difficulty in ordering food! Our first meal in Busan was quite good and satisfying! This restaurant is quite easy to spot. From the guesthouse, turn to the left and walk like 5 minutes and you will find it! 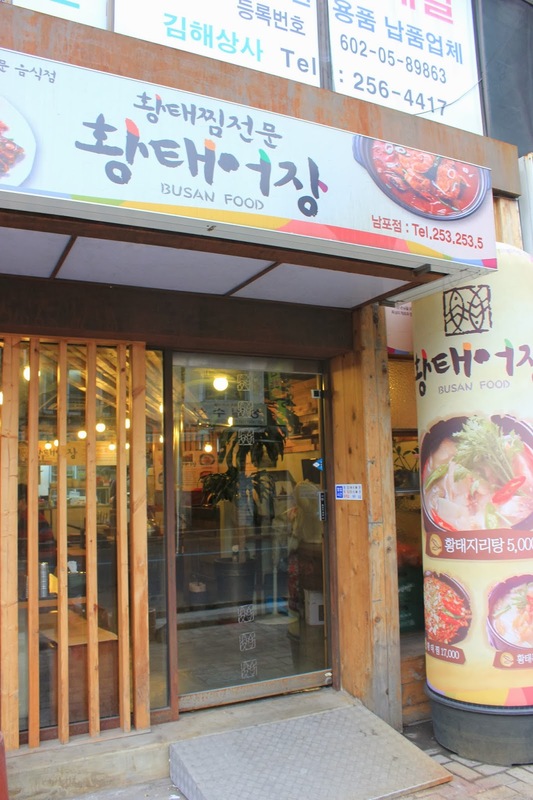 This is a must-try in Busan. It is like a pancake with nuts and brown sugar, honey and cinnamon (I think). Super yummy. You can find similar pancakes in Seoul but the taste is so different. Almost every stall that we tried sells really good hotteok! Out of my 2 days in Busan, I think I tried at least 10 different stalls. There were the more popular hotteok stalls at BIFF square, but honestly other than the long queues, there aren't that much difference between the normal stalls and the popular stalls! sinful but totally worth the sin! When I saw my roadside tteokboki (rice cakes), I was so excited! I love tteokboki in Korea because the sauce is much more spicy than those in Singapore and I love spicy food! We were pretty down on our luck on our first day in Busan! It was raining throughout the day but it didn't stop us from visiting the beaches! I love going to long beaches, especially those where the seas touch the skies. Haeundae beach is probably one of the most famous beaches in Busan, so we made it a point to visit the place. I think the beach would be a nice place to chill and tan in the summer. Even in the cold winter, it was nice to just sit down and enjoy the cool breeze and watch the world go by for a while. From Busan station walk 172m straight and take bus(# 1003) (31 min travel time). Get off at Haeundae Beach stop and walk 169m to Haeundae Beach. Take line 2 to Haeundae Station and leave exit 5. Head straight and you will arrive at Haeundae Beach. Well, after going to Busan (actually korea in general), I realized that there were so many cool and nice cafes all around that I didn't have to do a lot of research. 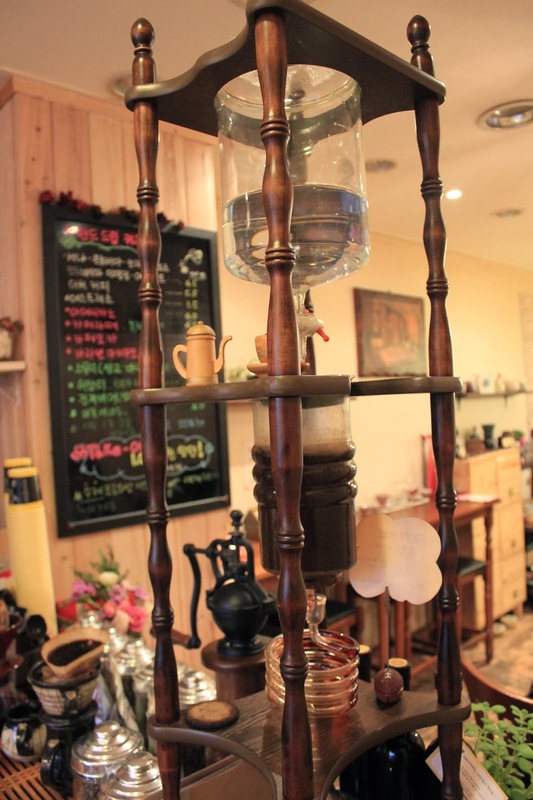 Honestly, you will not have any trouble finding nice cafes to chill at all! They are all so nicely decorated and cosy! 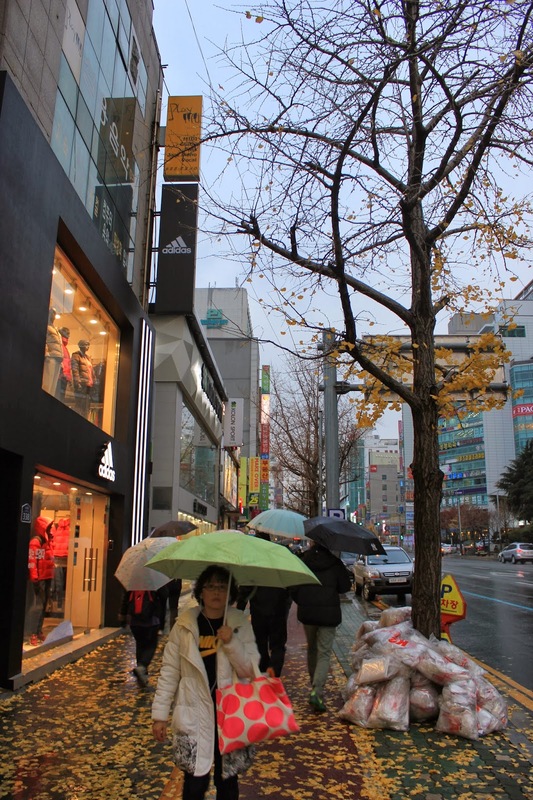 We decided to head to the Kyungsung University Shopping street for some shopping and chilling. But, we ended up not being able to find the shopping street! We had problems communicating with the locals, and thus not being able to ask for directions. We found the university and also all the many restaurants and cafes in the streets and alleys but just not the shopping area! Well, we found these little cafe hidden in a building right beside the uni and decided to take a break from the rain. 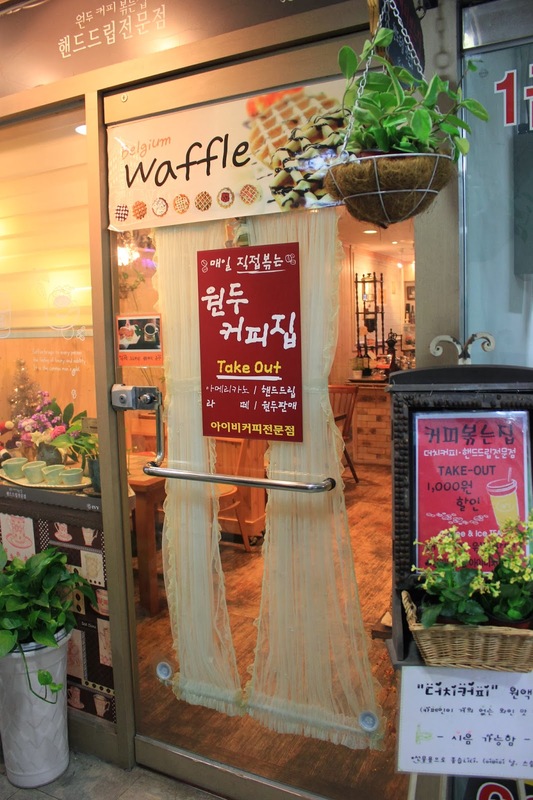 The sign outside the cafe read "waffles" but we realized that they only sell coffee and nothing else! 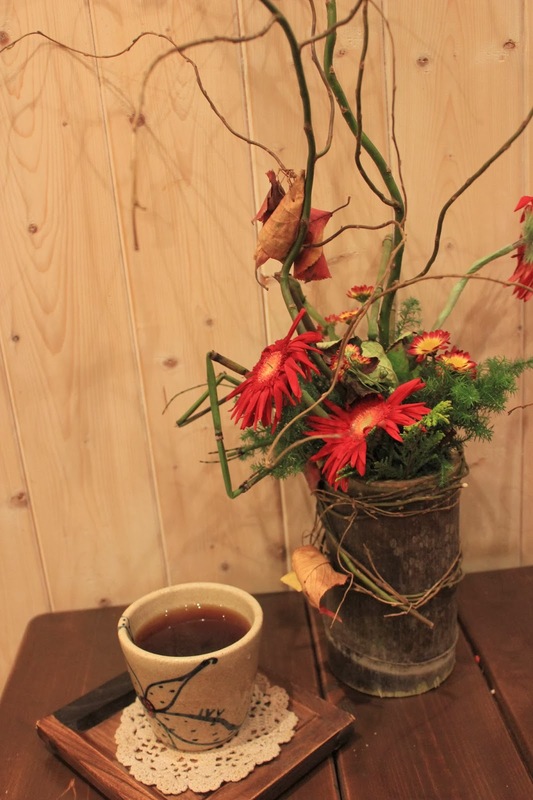 But the cafe was too pretty for us to miss taking photos so we shared a drip coffee! 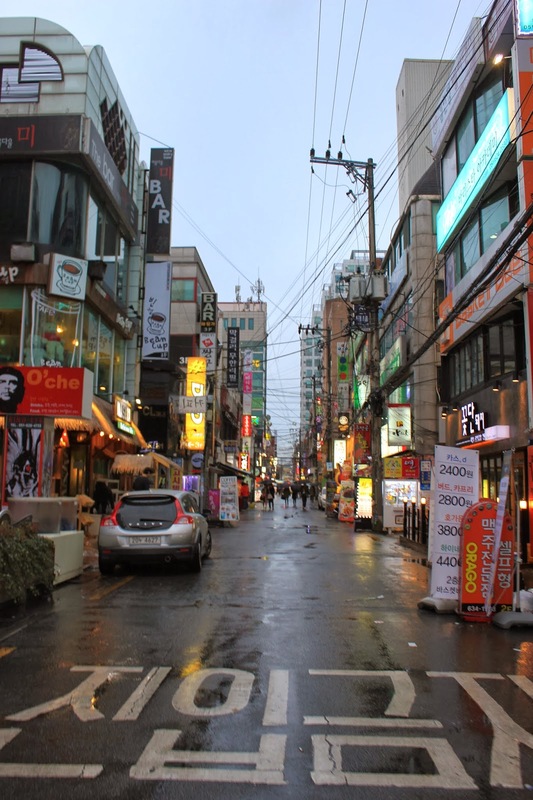 the streets and alleys near the uni with lots of restaurants! Okay seriously, what do you think of when somebody mention Korean food? Fried chicken with beer! We were so excited to have yummy fried chicken that we literally jumped in joy when we say this shop! 6677 is like a chain stall so you should have no problem finding this! We ordered different flavours for the chicken and it was pretty delicious! 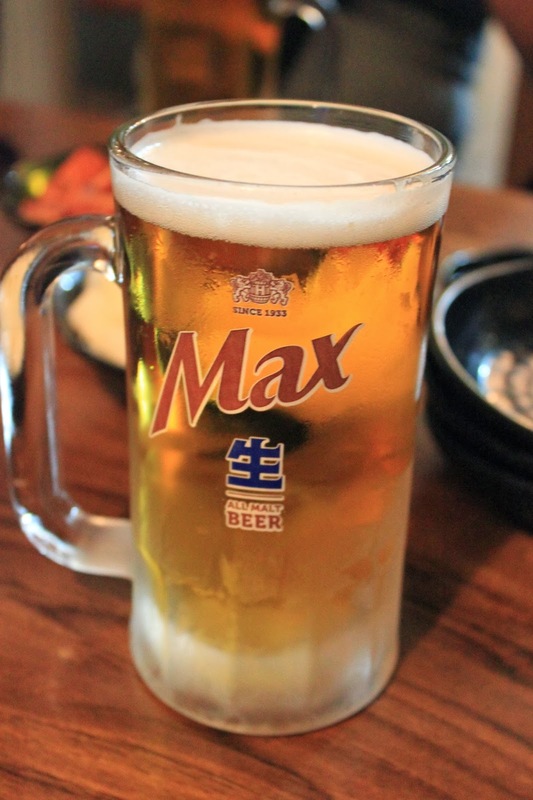 Love the combination of the radish, spicy chicken and beer! This random find on the street is the most delicious! Okay, my friends and I are pretty adventurous when it comes to trying out street food or actually all kinds of food but seriously that is the way to go! So lucky to always bump into good food! For those of yall who have done your research, Gwangalli Beach should not be foreign to you! If I were to choose one of the 2 beaches to go, I would definitely go for Haeundae beach simply because it is something that I cannot find in Singapore. Vast and wide skies! Gwangalli Beach has a more city feel to it, with the beautiful lighted bridge and buildings all around it! But of course, if you can spare some time for both, why not right? 3. Take subway line no. 1 from Busan Subway Station and transfer from subway line no. 1 to no. 1 at Seomyeon Station. Get off at Gwangan Station(subway line no. 2, exit 3 or 5) and walk 5 minutes. This whole building is full of restaurants that serves raw fish (hoe). We were really at a lost at to where to go and which shop to settle down once we enter the building! We decided to take the lift to the highest level and just ate at a random restaurant! Well, the worst part is there are no differentiating points between the different restaurants. The menu is almost identical and the price is the same! Well, we were initially very skeptical about the restaurant as it was pretty much empty! We were scared that they would overcharge us as well as they didn't seem to understand us and our hand language! So thankful that we entered a shop that had nice owners who really served us everything and didn't try to cheat our money! the sauces to dip the fish with! And then, the highlight of the night: the raw fish! There were 3 of us and we ordered the 90,000 won set (if I didn't remember wrongly). The raw fish was different from the usual japanese sashimi that we eat. The texture is different and the meat is much more chewy! My friends didn't really like it but personally, I felt that it was really tasty (what's more with the yummy sauces). The portion was so huge that I had fish coma after! Many different ways to eat the fish! Fish is dipped into a saucer of chogochujang, a watery red-pepper sauce, or a dish of soy sauce mixed with wasabi. They will also serve up a bowl of fish soup which is really tasty as well! If you have the extra budget, I would recommend you to try the raw fish in Busan! We were walking back to the subway when we realized that we needed a break from the strong winds that were freezing us. Saw this cute little cupcake and coffee place near the subway and decided to head in for a break! That pretty much summed up our first day in Busan! It was quite a tiring day but I guess part of the reason was because of the bad weather! My legs were dying when I returned to the guesthouse! But it was good because we managed to visit the beaches and had many good food and coffee!